1.84 Km Long High Level Bridge across river Gandak between Dhanha Ghat – Ratwal Ghat in West Champaran, Bihar | SP Singla Constructions Pvt. Ltd. 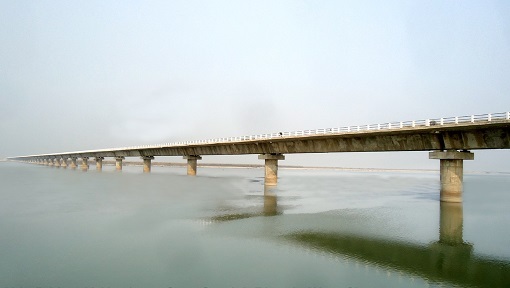 Title : 1.84 Km Long High Level Bridge across river Gandak between Dhanha Ghat & Ratwal Ghat in West Champaran, Bihar. Associated Client : Bihar Rajya Pul Nirman Nigam Ltd.